New low interest rates are causing ripples in the way homeowners view their existing mortgages. In the last three months, almost half of all homeowners who refinanced their 30-year conventional loans have chosen to reduce the number of years left on their mortgages. By using the advantage of a lower interest rates, and rolling those savings into a 15 or 20-year loan, payments remain the same, but homeowners can pay off the loan faster. This new surge of refinancing is the second-biggest retreat from a 30-year fixed mortgage in known history. The only time there have been more homeowners switching from a 30-year fixed rate mortgage to shorter term mortgages happened just the quarter period earlier. It is the new low interest rates that have allowed for such dramatic shifts in the mortgage lending industry. The huge drop in home loan interest rates now available make it possible for people refinancing to save as much as 65% on their interest over the term of a loan when adapting to a shorter term vs. a 30-year loan. Some homeowners who switch are able to get APR and interest in the 2s. There hasn’t been a better time in recent history to refinance to a shorter-term mortgage. The July-September 2014 Product Transition Report, created by mortgage industry leader Freddie Mac on a quarterly basis, shows that roughly 44% of households with a 30-year conventional fixed rate mortgage decided to refinance to a 15 or 20 year loan. This exodus makes perfect sense in light of the new loan interest rates available. Current interest rates make a 15-year mortgage extremely attractive, and comparatively cheap next to a 30-year mortgage. The last 12 years, from 2000 to 2012 have consistently shown interest rates for 15-year loans around 52 basis points, which is about .52% lower than an average 30-year loan. Now, however, 15-year rates are as much as 88 points, 88%, less, a savings of 70%. It doesn’t take much to see what a great opportunity the new rates present to homeowners. For example, on a loan with a total value of $350,000, a homeowner can save as much as $170,000 in interest rates by switching from a 30-year loan to a 15-year mortgage. That’s enough money to pay for a college education for children, or other life changing purposes. This type of savings has never been possible before in the history of the home mortgage industry. The 15-year term mortgage has been particularly popular with homeowners enrolled in the government’s program for home owners with underwater loans, known as HARP or the Home Affordable Refinance Program, and sometimes affectionately called the “Obama Refi.” This program gives homeowners affected by the housing collapse the ability to refinance a home with an existing mortgage that is more than the current value of their home to refinance without private mortgage insurance. With HARP, those homeowners that once had to put down as much as 20% or have available equity in that amount can refinance without the insurance that requires it. 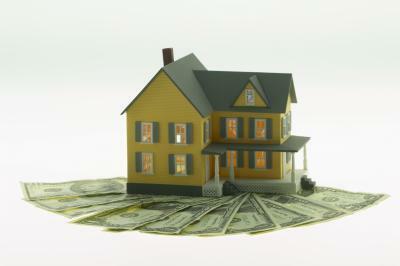 That has allowed many who couldn’t afford to refinance before to now take advantage of the fantastic new rates. The U.S. government estimates that up to 667,000 homes are eligible for HARP and has published a list by state. Your home may be one of those that is eligible. If your home is eligible for HARP financing, you may be able to take advantage of a new, lower interest rate home mortgage that can save you many thousands of dollars, regardless of the current value of your home. There are several million U.S. homeowners who have already take advantage of this opportunity. Even if homeowners choose to refinance into another 30-year term mortgage, the low interest rates can amount to a 30% savings on monthly payments. Homes with larger mortgages can save thousands of dollars each year by refinancing. While many homeowners choose to shorten the life of their loan by going with a 15 or 20-year mortgage, the choice often depends on how much equity the original loan has. The breakdown below shows the numbers involved in the way homeowners refinanced in the last quarter, based on loan-to-value. Rates on all loans remain low across the board. According to the Primary Mortgage Market Survey produced by Freddie Mac, interest rates on all fixed rate loans are at the lowest they have been since the beginning of 2014, and have approached the levels of mid 2013.